BROOKLYN, New York (WABC) -- An injured worker was rescued off a ship in the Atlantic Ocean, 18 miles south of Brooklyn Thursday. The NYPD aviation airlifted the worker off High Courage, a 600-foot vessel, and transported the worker to Staten Island University Hospital where he is being treated for his injuries. 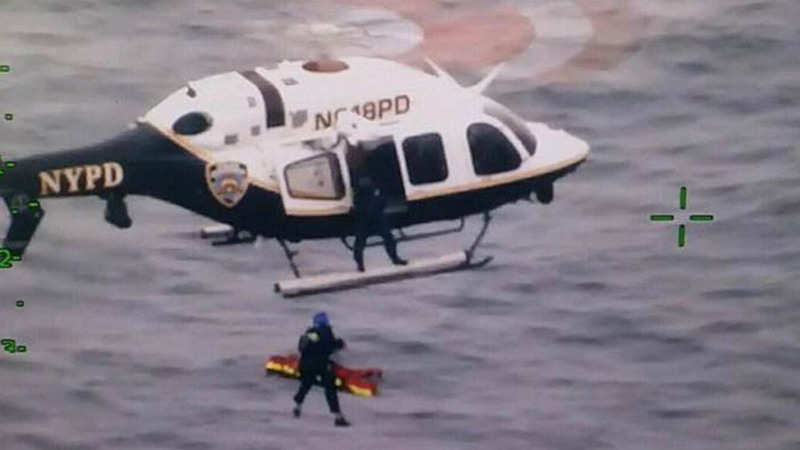 NYPD recorded the dramatic rescue which shows the injured worker being lifted off the vessel. The worker's condition is not known at this time.